Glenmark Fluconazole Tablets are a prescription medication for pets. 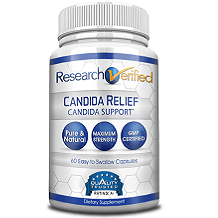 It is a long-term use medication designed to clear up different types of fungal infections. Typically, it is prescribed to treat central nervous system fungal infections in cats and dogs. However, Fluconazole can be prescribed to treat ringworm and yeast infections. This Glenmark Fluconazole Tablet review details all important information pet owners need to know. Glenmark Fluconazole Tablets contains one active ingredient – Fluconazole. Fluconazole is a synthetic form of triazole anti-fungal agents. It is a medication used to treat fungal and yeast infections. 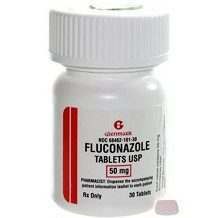 Fluconazole can be used to treat ringworm, athlete’s foot, and jock itch. However, for pets it is commonly used to treat skin infections, fungus in nails, and serious fungal infections such as Blastomycosis and Histoplasmosis. It is more effective in treating fungal infections found in the central nervous system than other medications. Fluconazole defeats fungus by weakening its cell membranes and structure. Dosage amount will depend on a veterinarian’s recommendation. A vet may prescribe 50mg tablets or 100mg tablets. The length of use will also depend on a vet’s recommendation. Typically, fungal infections are difficult to clear up in pets. Therefore, a vet may prescribe this medication for weeks or even months. Dosages should not be skipped. If one is missed, give it to the pet as soon as possible. However, never give two dosages at once, as it increases the chances of overdosing. Do not give Fluconazole to pregnant pets or pets with liver disease unless otherwise instructed. Fluconazole is considered expensive. A 30ct bottle of 50mg tablets costs $47.70. Single 50mg tablets cost $1.59 each. A 30ct bottle of 100mg tablets costs $68.70. Single 100mg tablets cost $2.29 each. Since Fluconazole is a generic form of Diflucan and it is a prescription medication, it is not recommended to seek out cheaper medication without a vet’s approval. After a thorough research, we have not found a guarantee or return policy. Fluconazole is a prescription medication, which is most likely why there is no guarantee. Customers who have concerns about the price and lack of guarantee should consult their veterinarian. A vet may be able to suggest a cheaper medication. Fluconazole seems to be a decent fungal infection medication for pets. While Fluconazole is slightly expensive, there is a lot of information about it. The list of side effects is quite long. However, experiencing the majority of possible side effects is rare. Since it is a prescription medication for pets, it is extremely difficult to find reviews. People who use human variations of this type of medication usually see positive results, but that does not necessarily means pets will see the same results. Unfortunately, it is an expensive medication that requires consistent usage over a long period of time. There is no guarantee either.